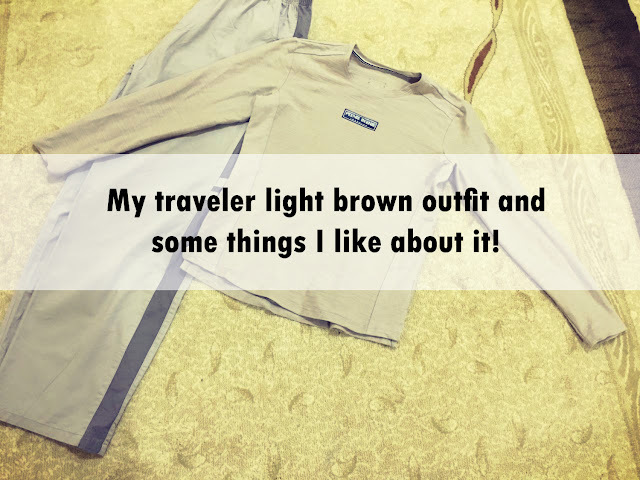 Home / outfits talk / My traveler light brown outfit and some things I like about it! My traveler light brown outfit and some things I like about it! Since I talked about the motivational shirt plus full outfit I decided to add a label to it which is the 'outfits talk topic' and post more of my outfits and kinda talk about it, share my opinions or whatever I need to discuss on the outfits or something related to it. I mentioned in the first post my favorite things about motivational shits and talked a little bit about it. 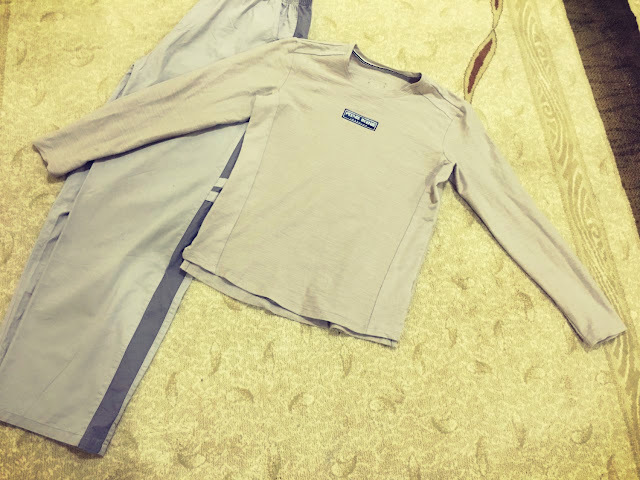 Today, however, I'm going to talk about another outfit that I got the same day I bought the motivational outfit and in this post, I will discuss on the long sleeve and what are the reasons that make me want to wear outfits with a long sleeve. I haven't told you this, but I tend to wear long sleeve more than the short and this has been happening for a long time. Anyway, there is nothing wrong with the short sleeve shirts, but I kinda like the long sleeve more and I'm going to mention why and give you my reasons for it. I do have outfits that actually have a short sleeve but sometimes I go without anything and sometimes I wear a long sleeve shirt with it so it kinda completing it. Before I start the post, I want to announce a new update on this blog which you may have already seen if you are following on Facebook because I posted it yesterday on my page. I've added a feedback section at the bottom of each post to help me kinda see which post is good and which post is not good and see how many people enjoyed reading the post and how many people did not. So if you could give this post a feedback that would help a lot. Anyway, by the title, you already know that this outfit is a light brown outfit and the reason why I have picked this color is that it looks really good and never owned an outfit with this color which is amazing. I've got so many compliments about this kind of color, but If you didn't know that my favorite color is yellow and it would be no good outfit with the yellow plus it is not suitable. This outfit has a T-shirt with a few words on it which is very simple and this is good because I like it. However, there is a word written on the T-shirt that says 'traveler' which kinda be suitable when wearing it during trips because people would look at me and see the word when I'm traveling. I don't know I think it makes a sense. I'm going to try it on my first trip this year and see how it goes, but I'm sure it will be awesome. Let me start talking about why I like the long sleeve more and I'm going to start with the cover which is the long sleeve cover most of the arm and this is why I mostly wear because I like to cover my arm when walking or going anywhere outside the house during the day. 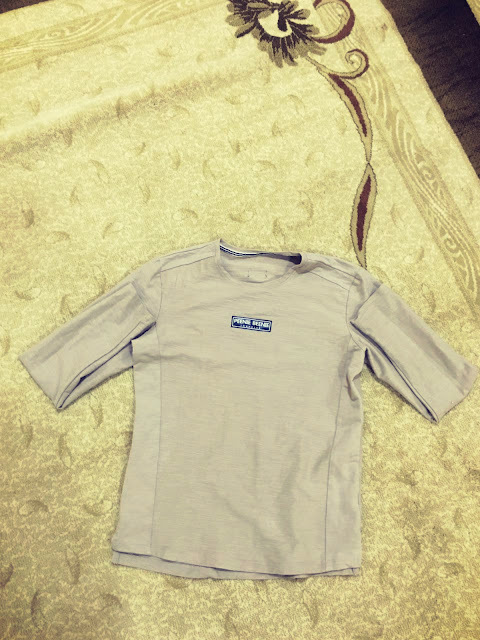 I feel more comfortable when wearing outfits with long sleeve more than the short, but I do wear short sleeve and sometimes as I said I get another suitable shirt that has a long sleeve that would work well with the outfit. Another thing about the cover is that it helps to protect my arm from the sun when walking around or going with friends. I don't think that would be a problem because you only walk, but still, you may go for a walk and then sit for a few minutes and I prefer to cover my arm when walking and keep my arm away from the sunlight during the day. It really helps to cover the arm when there are scars on it which will ruin the look and only do people keep asking. Like when I go with friends and I have some scar on my arm they all keep asking about what happened and how it happened and just make a big case out of it. Some people will make fun of me when they see something bad looking at my arm, which I really don't like and so prefer to wear a long sleeve to cover everything all the time. Most importantly, it's a personal preference which I feel more comfortable wearing the long sleeve more than the short. I wore this outfit few times only so far because I'm saving it for later and I have so many other outfits that I wear. As I said, it will be good when traveling around the world which probably will start this year. I did mention in the previous post in the outfits talk topic that I kinda have a good choice of matching the outfits and this one came Sperate which mean the trouser wasn't with the T-shirt but I picked a close to brown trouser as well because it's the best choice for the brown T-shirt. I'm not saying that I'm a real pro at this, but you could say a good level when it comes to matching an outfit. However, I did a small mistake which the trouser was longer than I expected and that's not a problem. I can't complain after all and this will be fixed in no time. 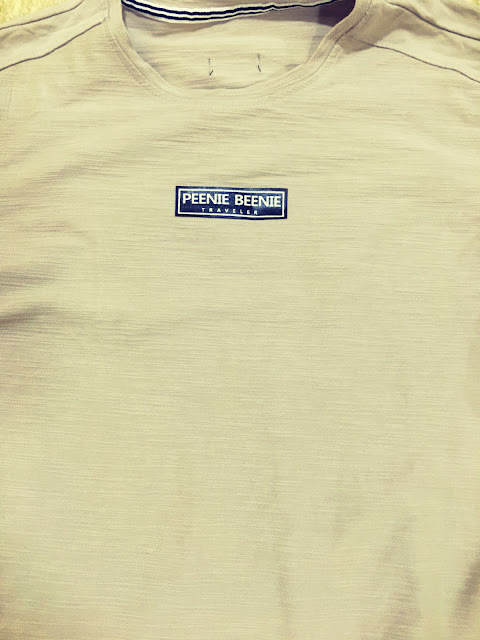 Also, The T-shirt is kinda tight, but you know that is not a problem at all and I think it's meant to be like this. However, I like the pockets in this trouser because they are big which my phone can fit them so perfectly. I think this is all of this outfit talk and I hope you enjoyed reading this post and if you would like to share your opinion on this idea or topic which is the outfit talk, feel free to share it in the comment section below. Also, don't forget to give this post a feedback if you liked it or not because it would help me to know how this post did. Also, I would like to know which one you prefer the sleeve or the short sleeve.